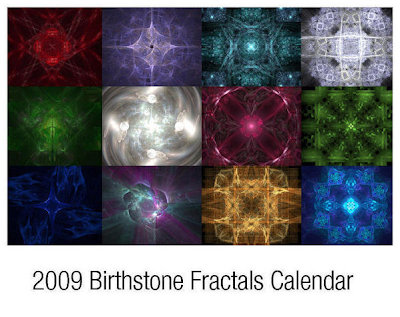 I have put together a calendar of fractals for 2009. I rendered each fractal in the color of the birthstone for each month of the year and have listed the name of that months birthstone. The calendar costs $15.99 plus shipping and can be purchased on lulu.com. Each calendar purchase will help support this site and new wallpapers in the future. I thank each of you for visiting grandgravey.com and hope to continue providing quality content well into the future. 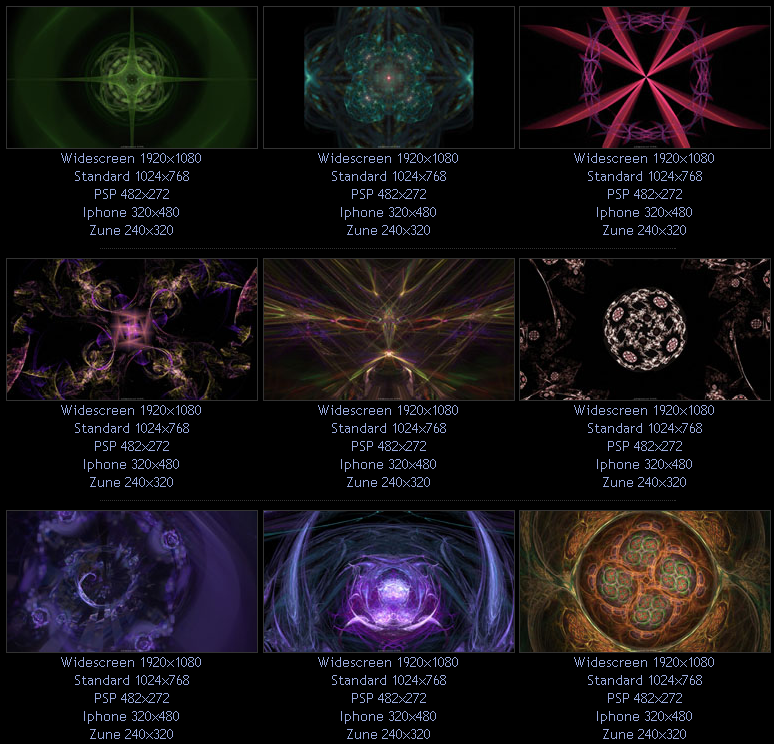 This batch of wallpapers was created using Apophysis. You can just go directly to the Free Wallpaper Gallery if you like or click on the image to go directly to the gallery page. Please feel free to use these wallpapers on your desktop for the PC, Mac, PS3, Xbox 360, Sony PSP, Iphone, Zune, etc. All images are in JPEG format and the files sizes are 800k or less I believe.